New Delhi: The much awaited India's ultra-low-cost tablet is finally here. Powered by Android 2.2 (Froyo) and a 366 Mhz processor the 7-inch tablet has a resistive touch screen. 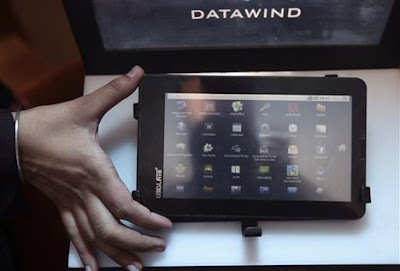 The Aakash tablet is in fact DataWind's UBISlate 7 tablet. Weighing 350 grams the tablet has 256MB RAM and an internal storage of 2GB Flash memory.